Decatur, Alabama is the largest city within Morgan County. A large number of historic buildings are showcased throughout the city, including some of the most significant Victorian-era structures left standing in the state today. 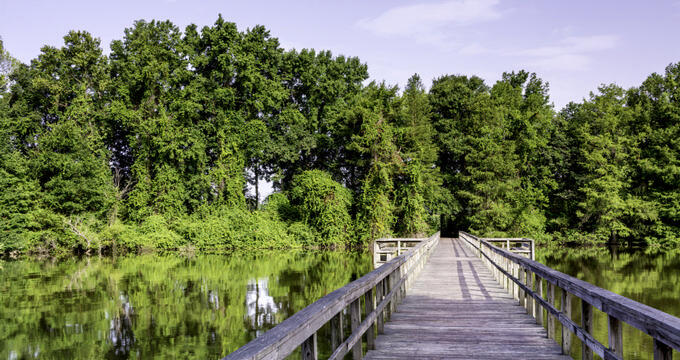 Major attractions such as Wheeler Wildlife Refuge, Point Mallard Park, and the Princess Theatre also draw visitors from around the American Southeast for day trips and weekend getaways. Wheeler Wildlife Refuge spans 35,000 acres along the banks of the Tennessee River and provides a significant wintering and migrating bird habitat for species such as Canada geese and red-tailed hawks. The refuge, which was named in honor of Major General Joseph Wheeler, was established in 1938 by President Franklin D. Roosevelt and is jointly administered today by the United States Fish and Wildlife Service and NASA’s Marshall Space Flight Center, who oversees the refuge’s Redstone Arsenal area. More than 700,000 annual visitors partake in outdoor activities at the refuge such as fishing, hunting, and wildlife watching. Five hiking trails are offered throughout the refuge, along with six boat launch sites, a wildlife observation tower, and several spotting scope stations. 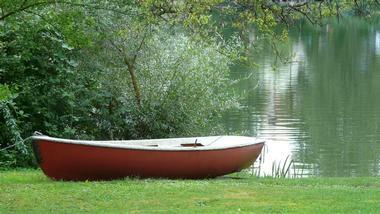 Annual events at the refuge include a youth fishing rodeo, a southern wildlife festival, and summer youth day camps. Point Mallard Waterpark is located along the border of Wheeler National Refuge, spanning more than 500 acres along the shoreline of Flint Creek. 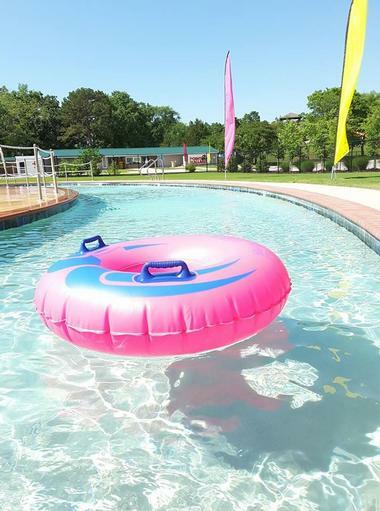 The multi-use recreational park is best known for its J. Gilmer Blackburn Aquatic Center, which was opened in 1970 and showcases a European-style wave pool, 10-meter diving tower, lazy river attraction, and two high-speed water slides. Sporting facilities within the park include the 18-hole Point Mallard Golf Course, the baseball-focused Bill J. Dukes Athletic Complex, the Jimmy Johns Tennis Center, and the Point Mallard Ice Complex, along with a golf driving range and batting cages. Indoor courts, a game room, and exercise facilities are offered at the T.C. Almon Center, while a permanent outdoor stage is located within the Ronald Reagan Spirit of America Fields area. Other facilities include a 210-site campground, an 80-seat prayer chapel, and a covered picnic pavilion seating groups of up to 500. 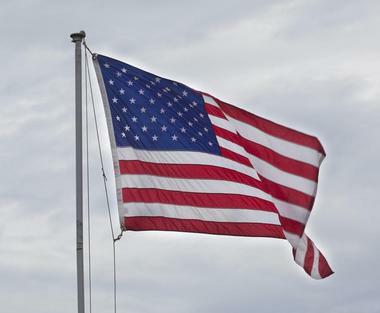 Annual events held at the park include the September Skirmish Civil War Reenactment, held every Labor Day. Cook's Natural Science Museum was the vision of Cook’s Pest Control president John R. Cook, whose private natural sciences collection grew from a supplemental collection used for pest control technician training into a world-class natural history collection. Since 1980, the museum has showcased a privately-owned collection of more than 2,000 specimens and exhibits, ranging from mounted birds and wildlife to extensive displays of minerals, rocks, and coral. More than 30,000 annual visitors explore the museum annually, including a large number of school groups attending as part of field trip curriculum. Notable exhibits include a Tennessee Valley Lake Exhibit showcasing the region’s native flora and fauna and one of the only displays in the United States to feature both bald and golden eagle taxidermies. Delano Park is Decatur’s oldest public park, developed in 1887 as part of a master plan to reinvent the city following the American Civil War. 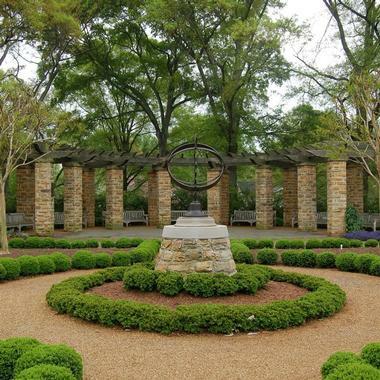 The park was named in honor of President Franklin D. Roosevelt and has recently been extensively redeveloped to include attractions such as a children’s splash pad play area that features a large-scale map of Alabama’s cities and rivers on its floor. Its Delano Rose Garden reconstructs the historic rose gardens that were planted with the park’s initial development, while its iconic concrete bridge, relocated in the 1930s, remains a popular spot for photographs and reflection. Further redevelopment plans include the addition of historical trails throughout the facility connecting the park’s western and central portions. 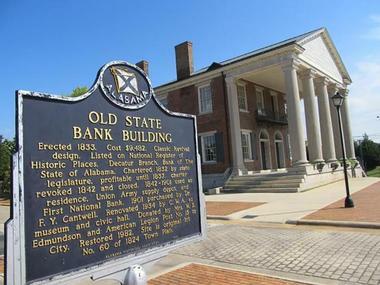 The Old State Bank was originally constructed in 1833 as the home of the Branch of the Bank of the State of Alabama, one of the first moves to establish the city’s prominence within the American Southeast. Though the original bank branch was closed in 1845 due to a nationwide economic depression, its establishment is considered one of the major factors that transitioned Decatur from a frontier village into a modern city. Throughout the 19th and 20th centuries, the bank building saw use as a Union Army hospital, public boarding house, and American Legion hall before its donation to the City of Decatur in 1976. Today, it is open to the public as a living history museum, showcasing a recreated interior first-floor banking lobby and second-floor banker’s apartment. The Old Decatur Historic District spans 116 acres within the city’s Albany and Old Decatur historic areas, showcasing the state’s largest collection of preserved Victorian-era homes and buildings. 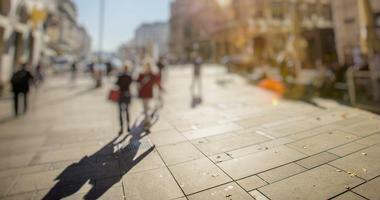 The district centers around the city’s historic Bank Street, the home of the Old State Bank building, which served as the city’s major commercial hub in the 19th century due to its riverboat, wagon, and railway access. Though many of the district’s original historic buildings were destroyed during the American Civil War and a major local fire in 1877, the structures that were rebuilt in the late 19th century are considered among the most significant Victorian and Italianate structures in the region. Four buildings from the pre-Civil War-era remain, including the Todd House, located on Lafayette Street. In 1985, the district was listed on the National Register of Historic Places, and today, its buildings are accessible via walking or driving tours. Carnegie Visual Arts Center is housed within the historic 1904 Carnegie Library, which served as the city’s public library facility for more than seven decades. Today, it houses the region’s first art museum and arts education center, which showcases more than 4,000 square feet of exhibit, workshop, and studio space. Eight to 10 public art exhibitions are showcased in the facility’s main level galleries annually, including national touring exhibits and presentations of the works of local and regional artists. 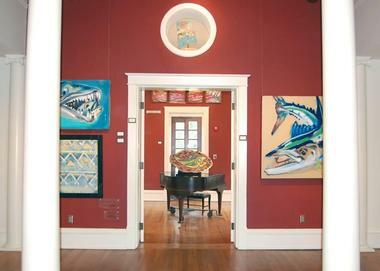 A permanent collection of Alabama folk art is also displayed, featuring works by artists such as Jimmy Lee Sudath and Mose Tolliver. Its basement-level Daikin America Education Center presents workshops and courses for community members of all art skill levels, including children’s summer camps. The Princess Theatre is a historic performing arts venue that was originally constructed in 1887 for use as a livery stable prior to its 1919 conversion into a vaudeville and silent film theater. In 1941, it was renovated with an Art Deco-style facade and neon marquee, featuring interior design elements such as glow-in-the-dark murals and a terrazzo floor map of the state of Alabama. Following its purchase by the City of Decatur in 1978, the theater was renovated into a live performing arts venue and listed on the National Register of Historic Places. 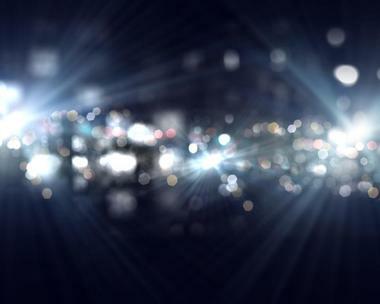 Today, the 677-seat theater hosts more than 60,000 annual visitors to its public performances, which include concerts by national touring artists and stops of Broadway touring shows. Local performing arts groups also present regular performances, including children’s theater groups and dance troupes. Wheeler Lake is the second-largest lake located along the Tennessee River, spanning a length of nearly 60 miles and a surface area of over 67,000 acres. The man-made impoundment was created by the Tennessee Valley Authority in the late 1930s for hydroelectric power generation and regional flood control and has become a popular recreation site in the Decatur region today. More than four million visitors attend the lake annually, partaking in seasonal outdoor activities such as boating, fishing, hunting, wildlife watching, and water sports. A visitor center is offered, along with areas for overnight camping and picnicking. 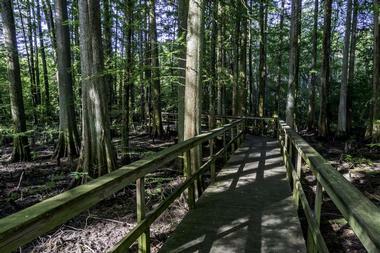 The lake is located adjacent to the Wheeler National Wildlife Refuge, which also offers a variety of outdoor activities. Morgan County Archives was created in 1995 by the Morgan County Commission as a permanent repository for the region’s inactive government and community records. It maintains the community’s major records dating back to 1819, including marriage, census, and court records, and is considered one of the most prominent collections of archival materials documenting the city’s civic history today. The archives are most noted as the only public viewing site of original copies of the Decatur Daily and Harstelle Enquirer local newspapers. They are open to the public on weekdays as a genealogical and community research resource, offering public computer workstations, library volumes, and microfilm access. Small exhibits of specialized collections are displayed periodically, including exhibits related to the city’s Civil War history and notable historical figures. 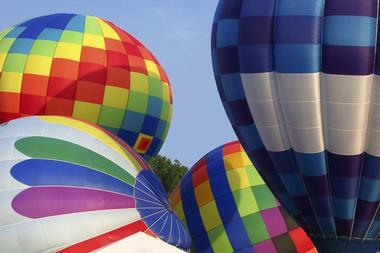 Alabama Jubilee is the largest hot air balloon classic race in the American mid-South. Its inaugural event in 1978 was intended as a showcase for the city’s newly-purchased official hot air balloon, which was one of the first official city hot air balloons in the country. During its early years, it attracted nearly two dozen balloonists from neighboring states such as Georgia, Mississippi, and Louisiana, drawing on the newfound popularity of hot air ballooning as a sport nationwide. Today, the jubilee has been named as one of the top tourist events in the Southeast by the Southeast Tourism Society, attracting more than 60 pilots from over 20 states throughout the country and serving as the region’s annual summer kickoff event every Memorial Day weekend. Its popularity as a major event attracting a national audience has led to the city’s declaration as the “Ballooning Capital of Alabama” by the Alabama Legislature. 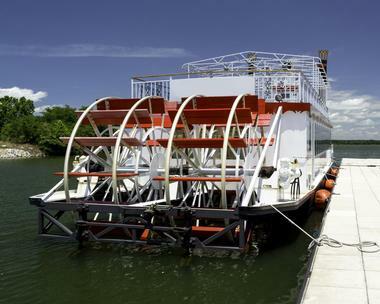 Pickwick Belle is a 90-foot replica paddlewheel riverboat that offers public and charter leisure cruises along the Tennessee River. The boat was christened in 2007 and operated out of Pickwick Landing State Park until it was docked at Decatur’s Ingalls Harbor in 2012. Today, it offers 90-minute sightseeing cruises on Thursdays and Saturdays, with two-hour dinner cruises available on Friday evenings. An upper deck offers spectacular views of the city and river while guests travel along the water at a maximum speed of five miles an hour. A variety of public special event cruises are offered annually, including a Civil War reenactment cruise and an Elvis-themed concert cruise. The riverboat may also be rented for private special events, including wedding receptions and corporate outings. Trapped is Decatur’s first escape room facility, challenging groups of visitors to work together to figure out clues to solve a themed mystery and escape from several enclosed room traps. 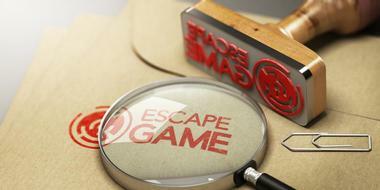 Each team is allowed one hour to figure out their way out of their themed room, creating a real-life gaming experience emphasizing team-building and problem-solving skills. Four rooms are offered at the facility, including The Morgue of Dr. G. Reaper, Escape From Alcatraz, The Bank Robbery, and Treasure of the Emerald Isles. Visitors may play in public groups or reserve rooms entirely for private groups, including corporate team-building events and school functions. 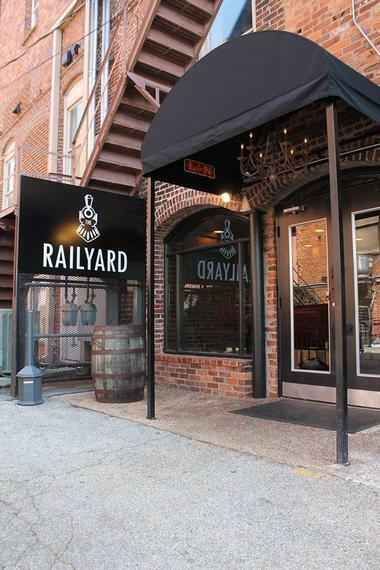 The RailYard is a downtown Decatur restaurant operated by owner Tyler Jones and executive chef Bill Harden, one of the pioneers of the region’s farm-to-fork movement. The restaurant emphasizes globally-influenced southern comfort food creations using fresh, locally-sourced ingredients whenever possible. It is open seven days a week for brunch, lunch, and dinner and serves a wide variety of entrees in a casual tavern setting. Menu favorites include specialty sandwiches with locally-sourced meats, craft pub-style burgers, and a variety of entrees emphasizing southern seafood options. Seasonal cocktails highlight fresh fruit and fine liquors, while a draft beer menu showcases regional and national microbrewery favorites. Big Bob Gibson's Bar-B-Que was originally opened in Decatur in 1925 and has become nationally known as one of the country’s oldest and most prestigious barbecue joints. The restaurant was opened by L&N Railroad employee Bob Gibson and originally gained notoriety for its famous Original BBQ White Sauce. 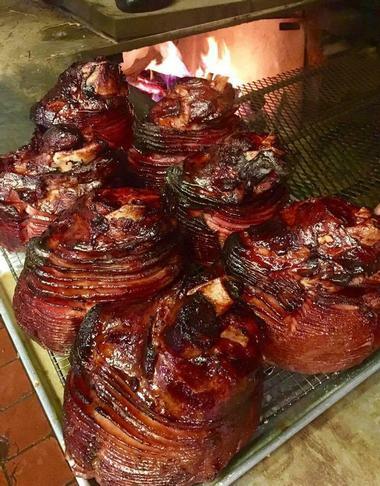 Since then, it has been the recipient of more than 15 World Barbecue Championship awards for its unique pork, rib, brisket, and chicken creations. 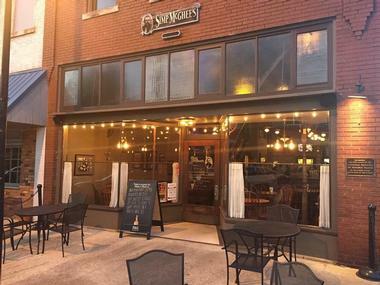 The restaurant is under fourth-generation family management today and offers two locations in Decatur, including a Danville Road location and a restaurant on the city’s Sixth Street. 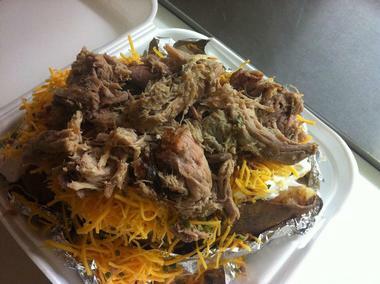 Dine-in and takeout menu options include award-winning barbecue platters, combination meals, and pit barbecue sandwiches. Simp McGhee's is named for Decatur’s infamous turn-of-the-century riverboat captain, whose boisterous character and unconventional riverboat operations made him a local legend before the revoking of his piloting license in 1917. The restaurant is located within the city’s historic Bank Street district and offers fine old-fashioned dining with Cajun-influenced charm for dinner and tapas service. Unique menu options include crawfish eggrolls, tuna Lafayette, lamb ratatouille, and Cajun seafood gumbo. A variety of specialty liquors and cocktails are available, including gourmet martinis, spiked coffee beverages, and fine white, red, and sparkling wines. Outdoor pet-friendly sidewalk seating is available seasonally, and a second-story dining room may be booked for private special events. Whitt’s Barbecue was the vision of hobbyist barbecue pit builder Floyd Whitt, who left his job as a bricklayer to open his first restaurant location on Labor Day of 1966. Today, three Whitt’s Barbecue restaurants and stores are operated throughout the northern Alabama region, including two locations on Decatur’s Spring and Sixth Streets. The franchise has been featured in Southern Living magazine and is noted for its 100% hickory wood-smoked barbecue creations, including pork, beef, chicken, turkey, and rib options. Family pack and full plate options are offered, along with barbecue sandwiches, Brunswick stew, and a variety of homestyle side dishes, pies, and cookies. Catering is available for groups of 25 or more, including customizable menus for private special events.